Last week I had the chance to visit Our Global Kitchen at the American Museum of Natural History, which opened up in mid November 2012. I’m hoping this review will highlight some of the more engaging features of the exhibit and encourage you to visit – whether you’re a teacher planning a class field trip or a New York City resident looking for something to do on a snowy winter day. To help point you in the right direction I’ve set up the sections below as so, along with a overview of the exhibit to start. Our Global Kitchen: Food, Nature, Culture explores our food system and the various social and natural components imbedded within it. From a history of early marketplaces to the future of urban farming, OGK examines how food is produced and moved throughout the world and how this system has evolved over time. With opportunities to cook a virtual meal, taste seasonal treats and view rare culinary artifacts, this exhibit illuminates the intricacies of food and its influence on culture and human identity. As a visitor you are asked to ponder one underlying question: From farm to fork, what brings our food to us and how do our choices affect the planet? 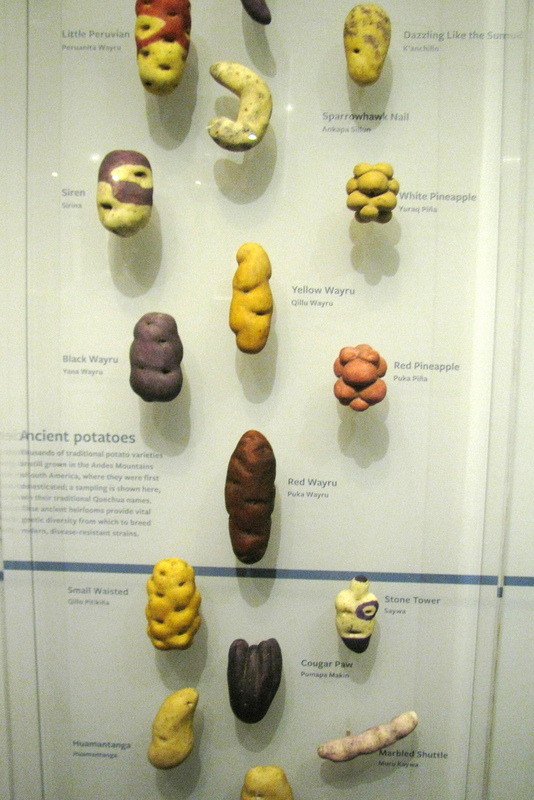 At the 900 varieties of Peruvian Andes potatoes section. Presented to the mother, only the perfect ‘makes the son-in-law cry‘ potato will get a courter the daughter’s hand in marriage. The famous historical figures meal display. From Gandhi to Kublai Khan to Jane Austin, this section allows you to ‘peek’ into the culinary trends of their time. 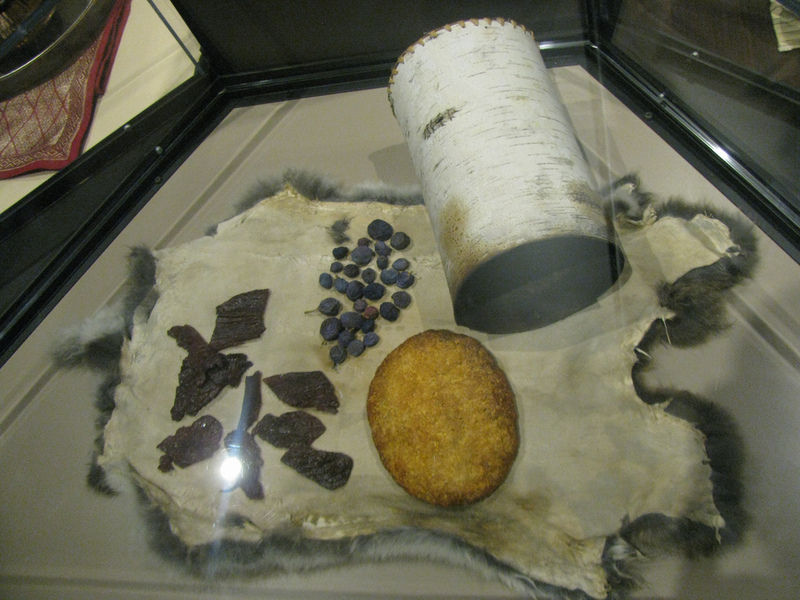 There’s even a meal for Ötzi, the ‘Iceman’ who lived 5,000 years ago. 1. Watching the opening video. This 5 min clip introduces students to exhibit theme: how our individual food choices have global implications. Engaging and informative, viewing area has watermelon seats to boot. 2. Discussing the food waste model. 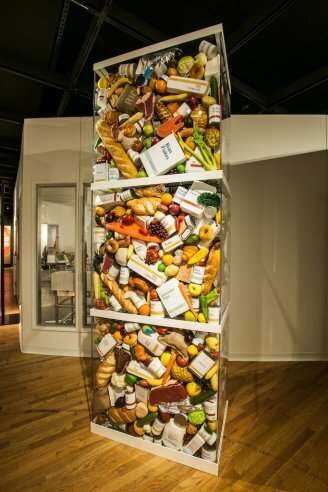 Over 30% of all food produced is wasted, an alarming fact made very clear by the 15 foot 1 yr waste visual. The cook-a-virtual-meal interactive. 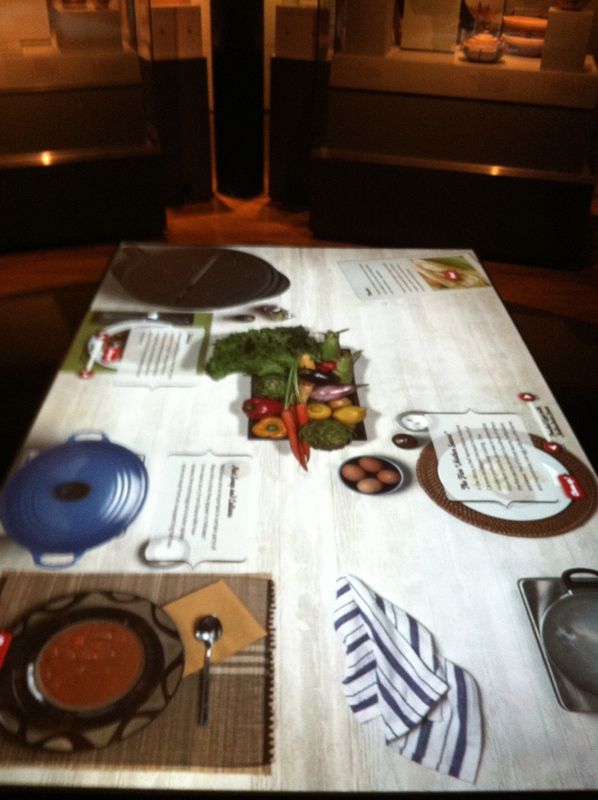 This i-pad like table allows students to mix ingredients and follow recipes from various cultures. Don’t miss & spend time by the working kitchen. The staff here will both inform and excite you as they describe the food items available for that day. While there, a group of middle school students and I discussed where cocoa is grown while munching down happily on a bar of dark chocolate. With free, tasty, and unlimited (?) samples of food, this section is a can’t miss. Special thanks to Erin Betley, a biodiversity specialist for the CBC and one of the content developers for the OGK exhibit, for leading our tour.